Parking area and trailhead are located on Rt. 109 in Tuftonboro, NH, 0.9 miles south of its junction with Rt. 109A. The large parking area is on the east side of the road and is well signed. 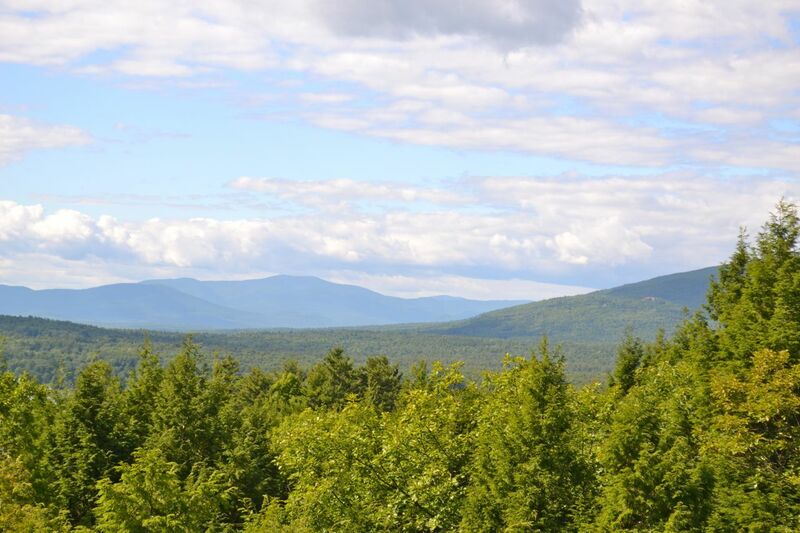 Although it does not have quite the view that some of the other towers in the area have (Red Hill and Great Hill), Abenaki Tower is well worth the five minute walk on a wide dirt path it takes to get to it. This public lookout tower, which used to be a firetower, is one of New Hampshire's more unique towers. Unlike most, it is completely wooden and has a peaked roof. From the top, there are decent views of Lake Winnipesaukee and the Belknap Range.